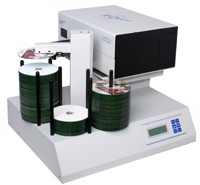 R-Quest brand of disc duplication equipment. TCP-7550-P55C 5 drive Standalone & automated Publisher DVD+/-R duplicator includes Teac P55 printer. TCP-7550BD-P55C 5 drive Standalone & automated publisher for CD, DVD+/-R and Blu-Ray duplicator. Includes Teac P55 printer. TCP-7550-FJ2 5 drive standalone & automated publishing system to duplicate and print CD and DVD+/-R. Includes FlashJet 2 printer. TCP-7200 2 drive standalone & automated publisher for duplication of CD and DVD+/-R. DOES NOT INCLUDE PRINTER. TCP-7400 4 drive standalone & automated publishing system to duplicate and print CD and DVD+/-R. DOES NOT INCLUDE PRINTER. 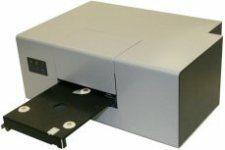 NS-2100BDp The NS-2100t is a CD/DVD/Blu-ray disc publisher with integrated printing using a PowerPro thermal printer. 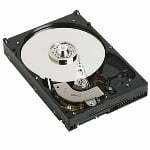 These network attached publishers are operating system independent and feature a 150-disc capacity. TCP-7550 5 drive Standalone & automated publishing system to duplicate and print CD and DVD+/-R. Comes with 160GB hard drive, 550 disc capacity. No printed included. TCP-7550BD 5 drive standalone & automated publisher CD, DVD and Blu-Ray duplicator. DOES NOT INCLUDE PRINTER. List Price: $5,895.00 Don't pay list price. List Price: $6,895.00 Don't pay list price. TCA-9450 4 drive standalone & automated CD and DVD+/-R duplicator. TCA-9850 8 drive standalone & automated CD and DVD+/-R duplicator. TCA-1800 8 drive standalone & automated CD and DVD+/-R duplicator. List Price: $13,395.00 Don't pay list price. List Price: $19,795.00 Don't pay list price. List Price: $19,695.00 Don't pay list price. NS-4500i 4 drive standalone & automated CD and DVD+/-R duplicator with embedded FlashJet Pro inkjet printer. NS-4500t 4 drive standalone & automated CD and DVD+/-R duplicator with embedded Teac P55 printer. 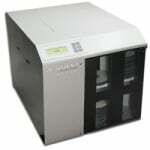 NS-4500BDi 4 drive standalone & automated CD, DVD and Blu-Ray duplicator with embedded FlashJet Pro inkjet printer. List Price: $25,795.00 Don't pay list price. List Price: $6,795.00 Don't pay list price. List Price: $8,295.00 Don't pay list price. NS-4500BDt 4 drive standalone & automated CD, DVD and Blu-Ray duplicator with embedded Teac P55 printer. TCA-9450BD 4 drive standalone & automated CD, DVD and Blu-Ray duplicator. TCA-9850BD 8 drive standalone & automated CD, DVD and Blu-Ray duplicator. List Price: $9,495.00 Don't pay list price. TCA-1800BD 8 drive standalone & automated CD, DVD and Blu-Ray duplicator. PPM-1 R-Quest Mounting Plate for PowerPro Printer RS-100 R-Quest reject slide for rejected discs. Available for 550-1000 disc autoloaders. TCA-9200 2 drive standalone & automated CD and DVD +/-R duplicator with 160GB Hard drive, optional memory upgrade, 220 disc capacity. TCA-9800 8 drive standalone & automated CD and DVD+/-R duplicator. TCA-9200BD 2 drive standalone & automated CD, DVD and Blu-Ray duplicator. TP-5100-P55C Networked automated print station Includes Teac P55 Printer. No Mac support for P55 printer. TP-5100-FJ2 Networked automated print station. Includes FlashJet 2 printer. FlashJet 2 With the low cost of entry, the FlashJet 2 photo-quality inkjet disc printer provides great looking prints. HD-500 500GB hard drive upgrade for R-Quest duplicators.